S & S Food Import Corp. was founded in 2001 and has since specialized in wholesale foods imported from Europe. The company is the exclusive distributor of Lithuanian dairy products produced by one of the largest Eastern European factories, Pieno Zvaigzdes (Lithuania). We provide a line of semi-soft cheeses which are made in the best European traditions - Rossijsky, Svalia, Dvaro, Gouda, Gildia, Baltia, Edem, Emmental, Melted, and Smoked. Another line of products are cheese cakes that come in 6 fruit flavors, and 4 different chocolate glazed versions. Additionally, we import fruit farmer cheese in 3 flavors, and plain farmer cheese with 3 different fat contents. Delicious puddings come in 4 flavors - oatmeal and 3 rice versions. 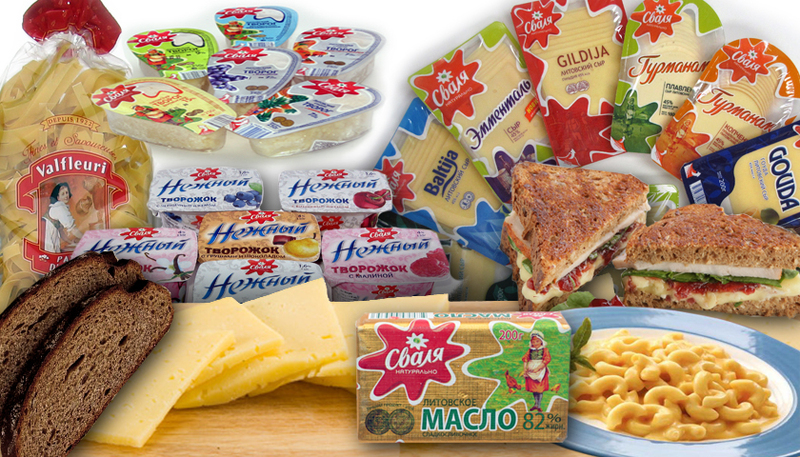 Butter completes the assortment of Lithuanian dairy products. What could possibly taste better than delicious rye bread with a thin spread of traditional homestyle butter and a slice of cheese? We thought of it too - Lithuanian rye breads are available in Classic and parboiled versions. Only French pasta with grated cheese could probably taste better! We are proud to present the only pasta on American market that made of 7 eggs per kilo of flour! 8 different kinds of pasta can satisfy the most demanding taste. To see our products in more detail, just click on the matching link to the right.